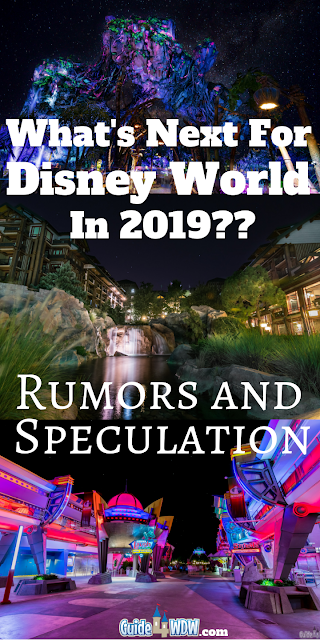 By this point in my article sharing most of of you have likely noticed that I rarely share rumors that roll out of the Disney parks rumor mill. However, I do tend to comment on a fair amount of the speculation and essentially that's my plan for today. Inevitably, Disney changes drastically from year to year so instead of looking back at what has happened over the last year, I want to take a look at what could be next in the coming year with hopeful optimism of what could be just around the corner. With some of the greatest expansion in Disney history on the horizon and the grand debut of Star Wars Galaxy's Edge looming for summer (in California) and fall (for Orlando) of 2019, it will certainly be big year for the Disney parks and resorts once again. It's almost mind blowing to think that Star Wars Galaxies Edge is so close to a debut! It seems like just a short time ago the official announcement was made. Star Wars is just one of the many changes that have been made official, and certainly others have been announced that I'm sure you're already aware of if you're reading this. However, rather than looking back and waxing poetically about the impressive feats of both engineering and all other facets of the changes, I wanted to look today at what hasn't been officially announced and what possibly may never become a reality. So many things roll out of the rumor mill of Disney entertainment so I figured why not share a few of my own thoughts today. First and foremost, I want to reiterate that none of what I'm sharing is official and these are simply my thoughts with no "insider" information. I won't claim "leaked" news or anything of the sort and I don't intend to create rumors with this. Instead, these are simply my thoughts on the future of Disney Parks and potentially what we could see or what is already floating around the internet. I hope to share my input on the validity of some claims, but also share a few of my own general thoughts along the way. So, without further rambling, let's get right into it. Perhaps the biggest announcements throughout the next year will revolve around Epcot and it's great reimagining. Of course, we do have many announced changes well under way including the Guardians of the Galaxy coaster, the space themed restaurant, the new Innoventions area, proposed redesigned "hub" area, the new show replacing Illuminations, and many others. At the same time, we still have rumors surfacing of new pavilions in the world showcase, potential new attractions, and even speculation of something happening with the Wonders of Life Pavilion. Call me skeptical, but when the rumor rolled out that a Mary Poppins themed spinning style attraction like Dumbo rolled out and started to circulate I didn't believe it in the slightest. Truthfully, I still doubt that it will happen, but from a deeper thought process I can see why it could be a viable rumor. First, it would be a crowd eater. 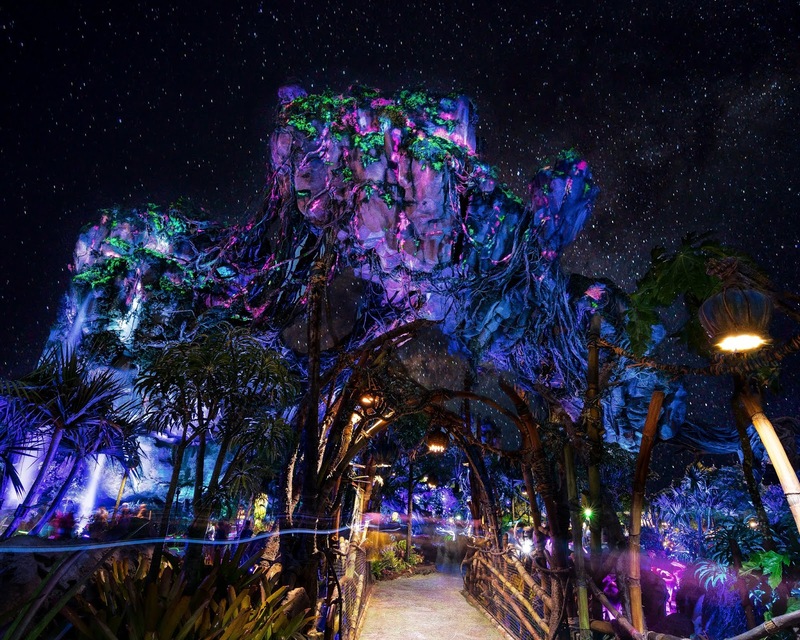 It's not a big expensive attraction and it's not an E-ticket debut, but it would be something for guests to do to occupy their time in the park while announcing something new and minimizing costs. The "budget" is the key to all of Epcot and these rumors overall. Disney will be pumping a lot of money into the project over the next few years and I highly doubt they'll add any big ticket, costly, attractions to the construction lineup until some of the current projects finish up. Walt Disney World may be more expensive than ever to visit, but just like any company they do have budget constraints. 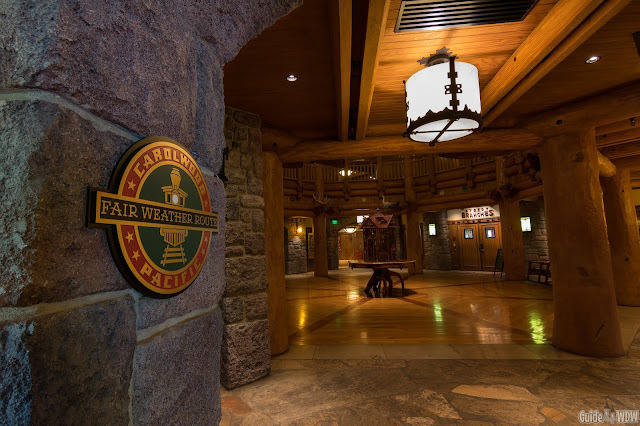 The rumors of new Epcot pavilions in the World Showcase and beyond have been around since the Equatorial Africa Pavilion was scrapped soon after Epcot's opening day. Today, the latest rumors focus on a Brazil pavilion or an India Pavilion. Both possibilities do have a certain level of merit, but I personally believe neither will even be announced this year. If they are it will almost certainly be at D23. If you asked me about this rumor a year or two ago, I would have guessed that construction would have already been well on its way by this point in 2018. Obviously that didn't happen but the validity of a new pavilion coming in the future still holds plenty of potential but I do doubt it will begin construction this year. Again, it all comes back to resource allocation. As a company, you can only take on so many projects at one time. Tying into the pavilion speculations, let's talk about Wonders of Life. If you are an old school Disney fan chances are you're well aware of the virtually abandoned Wonders of Life pavilion. Over the last year, Disney has been slowly yet surely making changes and updates to the pavilion which almost immediately put it firmly into a piece of the Epcot of the future. What its roll in the redesign may be is largely unknown. It could still be used as event space, but it was even featured in the new Epcot concept renderings. If I had one guess as to what this pavilion may hold in the future, I would assume Disney could bring some type of character IP into this location. My thoughts immediately go to a reboot of Cranium Command (especially with the odd Buzzy rumors that came out of nowhere), but while integrating Inside Out or even quite possibly rebooting the classic experience to appease the nostalgic Disney fans. In a round about way that brings me to perhaps my greatest piece of personal speculation in this article. If I had one guess for the future of Epcot, it would be that either this year or next year we start to see a nostalgic phase of Epcot. With the interim Illuminations replacement "Epcot Forever" debuting and featuring classic Epcot music, I can't help but think this will be a collaborative theme of the park as a whole, even if for a very limited time. As Epcot changes, there will be a lot of push back from nostalgic Disney fans. It's inevitable when a classic part of the magic changes. I personally think Disney will make a certain effort to ease into a "new Epcot" by harkening back to the days of the early Epcot experience so guests can relive even a small piece of that experience all over again. In a similar way, I wouldn't be surprised if we see an update announced for the Imagination pavilion this year at some point. The attraction may not change (as much as I wish it would go back to a more original iteration), but I do believe an ImageWorks overhaul is well overdue. It would theoretically be a budget friendly redesign, and if a sponsor for the project was brought onboard, costs may not be a huge factor when compared to the speculation of entirely new attractions/pavilions at Epcot. Making a long list of rumors a bit more concise, Epcot is going to be changing and the extent of those changes will likely be the biggest series of announcements in the coming year. Magic Kingdom may not see anything overly exciting announced for it this year. However, there are a few things in progress that may "change" for lack of a better word. As you probably know by now, the Tron coaster is coming to Magic Kingdom by 2021. Construction is well under way but I do believe there may be more to this project than meets the eye. I've spectacled for years that changes will be coming to Tomorrowland and this would be the perfect time to do something new and entirely unique. 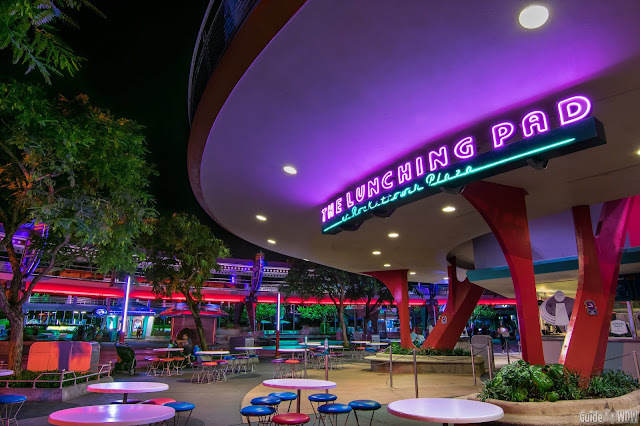 Tomorrowland is well overdue for a table service dinging location and the space is there and accessible for such a thing to come to fruition. Will it be announced this year? Maybe not. Will a Tomorrowland "refresh" begin this year? Without a doubt. If you walk into Tomorrowland today, you can already start to see theming changes taking place. 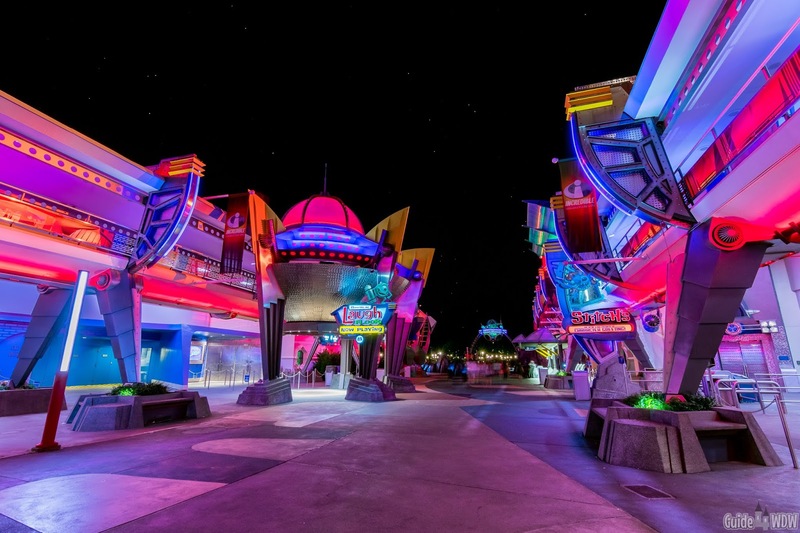 From new paint to attraction closings (Goodbye Stitch's Great Escape...), changes are already happening and I do believe this is only the beginning and there may be more to Tron than meets the eye. A new nighttime parade is long overdo at Magic Kingdom. I thought we'd already have some kind of parade announcement for 2019, but I genuinely believe we'll have a new nighttime parade in Magic Kingdom by the end of 2019. I have absolutely no idea if it will be a new parade or a borrowed parade from another park internationally, but it simply feels strange for the park to be without an ongoing nighttime parade. I still believe Paint the Night could be modified just enough to function in the Magic Kingdom, but I doubt it will actually happen. Outside of Star Wars and the Runaway Railway, I would not be surprised if we see some more changes unveiled for Hollywood Studios this year. The theming is all over the place and something is going to have to change and change quickly to control the crowds after Galaxy's Edge debuts. The sheer nature and design of the park could make near capacity crowd levels brutal if new areas aren't expanded or better utilized to occupy guests. Hollywood Studios rumors are surprisingly quiet right now but I don't see that trend sticking around for very long. Look for something to be announced this year to further that park in more than one way. As much as I hate to say it, I don't think we'll see much announced or new in 2019 for Animal Kingdom. All rumors circulating currently seem too far fetched in my opinion. Pandora is still doing quite well and continues to exceed most guests expectations. The crowds appear higher than in previous years and truthfully this is the best version of Animal Kingdom I've experienced first hand. The nighttime entertainment is great and I'm not entirely sure what they could improve to better the park. There has been a recent push surfacing a rumor of an Indiana Jones overlay to Dinosaur. If you change Dinosaur you basically have to change or re-theme all of DinoLand. Ironically, and what many people don't know about DinoLand, is that it's designed to be a down home parody of the Dino Institute housing Dinosaur. So, if you change Dinosaur, you likely have to change all of DinoLand and I doubt that will happen. 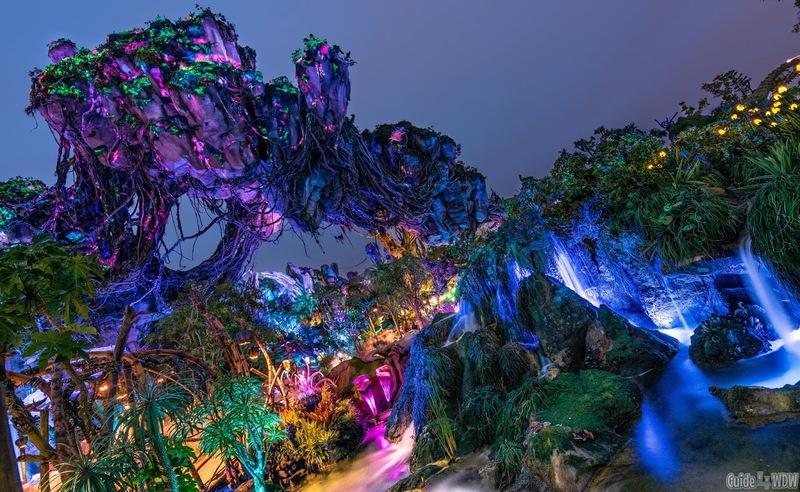 Another rumor that's floating around is that Disney plans to expand Pandora. In my opinion this is the most far fetched rumor and, at the very least, far too soon for speculation if a project is evening the minds of the folks at Disney making those calls. I could be completely wrong but I doubt this will happen at all or at least anytime soon. Disney resorts are certainly an area where Disney is allocating major resources in order to prepare for both Star Wars and other expansions coming in the future. 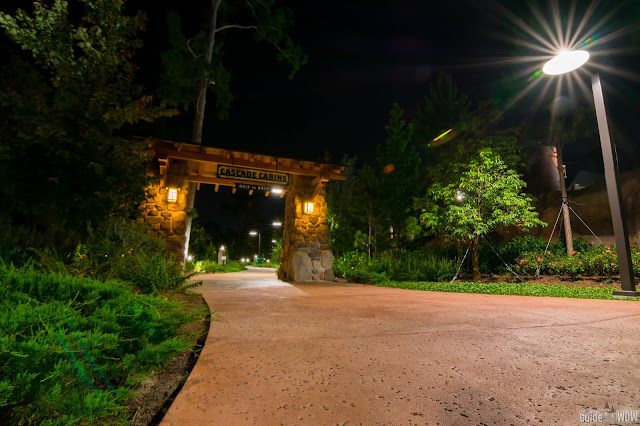 Crowds are higher than they've ever been from a guest perspective and keeping those guests on property will inevitably be a focus of Disney's intentions in the coming years. At the same time, with the exception of resorts that have already been announced or that are nearing completion, I doubt we'll see any more lodging expansions rolled out this year. Disney has added a ton of rooms this year and are working to add more so my best guess is that they'll be putting future resorts on hold until they really see how Star Wars draws crowds and how the accommodations situation unfolds over time. 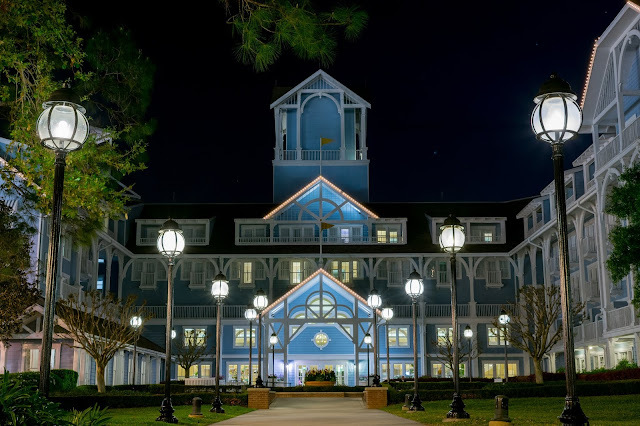 The one exception to my "no-new resorts" mindset is the fact that I do believe Disney will continue to add DVC accommodations to moderate tier resorts and even potentially Port Orleans in particular in the not so distant future. 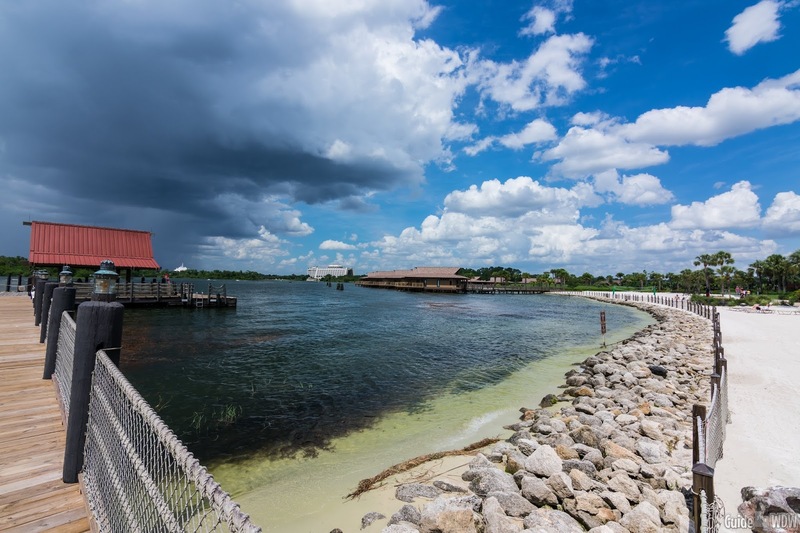 Is it likely to happen this year, probably not with the expansions in place for Caribbean Beach and Coronado Springs already nearing completion, but I do believe updates are inevitable for Port Orleans at some point. Another fitting DVC expansion in my opinion would be waterfront cabins at Fort Wilderness. Not only does it fit the theming but after seeing how well they were done at Wilderness Lodge I could see it being a huge hit with guests. So that about wraps it up. I'm sure I've missed something along the way, but that should cover just about everything I expect in 2019 going forward. Will it all happen? I certainly doubt it, but at the moment this is everything that makes sense to me. Either way, be sure to share your thoughts for the new year with us in the comments on your favorite social media platform. As always, hope you all have a great new year and we can't wait to share some new content with you in entirely new ways going forward! In life there are so many things searching for our attention and often times the world around us tends to dictate what we do with each day and each pursuit in our lives. It's an ever present struggle that our society often gets so wrapped up in that we forget to take the time to enjoy a bit of creativity and time to think outside of the box in all the right ways. You see, I've always been a proponent of trying new things and taking that first step in the right direction today that could change your life tomorrow. Nothing happens overnight, but with effort and a desire to pursue what you love doing more than anything else, virtually anything you wish to do in life is achievable more often than not. Mary Poppins Returns is the perfect story that encompasses that imaginative journey. It's all about believing in the seemingly impossible and in many ways, both literal and figuratively, it's something I know Walt would have been vastly proud of if he could have seen this film today. When Walt built Disneyland, he had a dream, and that dream wasn't one of financial gains but rather one that many expected to fail. The idea seemed impossible on paper and at the very least was something that had never been done before. His creativity was the root of Disneyland's success and Mary Poppins Returns encourages thoughts of creativity and thinking outside of the box and invites a whole new perspective for viewers while being reminiscent of the classic film so many appreciate. Tucked deep in the details of the film you are taken back to subtle hints of the original soundtrack while a welcomed array of similar, yet different, songs arise in the most unique of ways. The story helps you appreciate the little things in life while being a larger than life story and uniquely different in all the right ways. If you're a Disney history nut, you'll appreciate a few particular scenes, but only one features a subtle few notes of a time honored classic Walt Disney was known to love. I won't ruin the plot by spilling that little detail, but if you're in the know, you're in the know, and if not go watch Saving Mr. Banks or start reading up on the Sherman brothers to understand the heart behind one of the film's finest moments. In regards to the plot itself, my only complaint would be a very brief one in that the film takes a bit longer than expected to "set the stage" and unveil the true context of the experience. 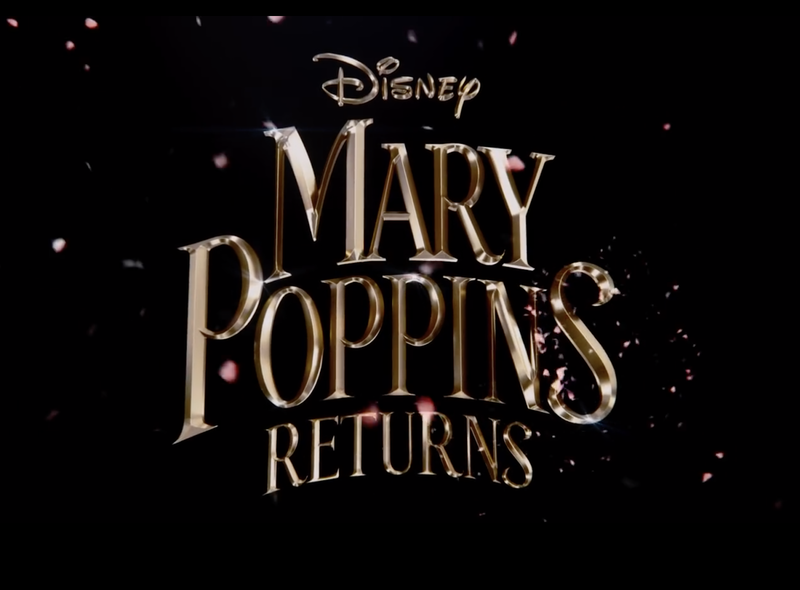 In many ways, Mary Poppins Returns isn't quite what you expect it to be (or at least it wasn't what I expected it to be), but it still captures the essence of the original in a way that is quite difficult to explain in words. At it's very core, this very well could be the "feel good" movie of the year for Disney fans and a story so many people will connect with on a personal level. There's a piece of the story that everyone can relate to and it's best described in the simplest of quotes, "Nothing's gone forever, only out of place." Upon leaving the theater you can't help but feel as if life is all just a matter of perspective and changing your perspective often reveals the most peculiar of results. In the end, Mary Poppins Returns is the holiday movie you should see. It's "whimsical" in all the right ways, makes you reevaluate your perspectives, and the whole story is accompanied by one of the best casts they could have developed. It's full of surprises, and a visit to the movie theater to see this should be on your "Christmas list" this year. As an added disclaimer, we weren't at any media event for this film and we weren't paid to give this review. As always, these are simply my honest thoughts and I have to say this film genuinely exceeded my expectations. Our Ideal Disney World "Resort Hopping" Day! 9 Resort Visits in One Day! Our Ideal Disney World Resort Hopping Day! 9 Resort Visits in One Day! 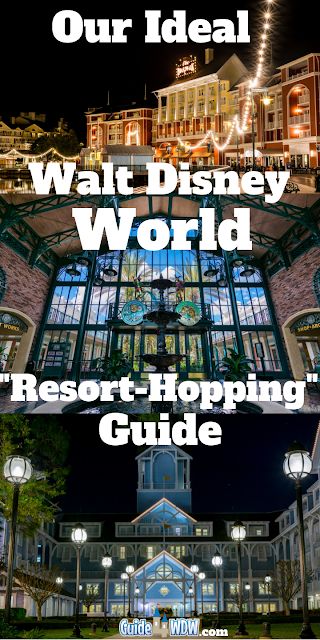 If you're a Disney parks fan or even simply a casual traveler to Walt Disney World, you've likely heard of the term "resort hopping." In essence, resort hopping is = going to resorts other than your home resort to visit, shop, dine, and ultimately explore a little piece of Disney that each resort offers in new and unique ways. 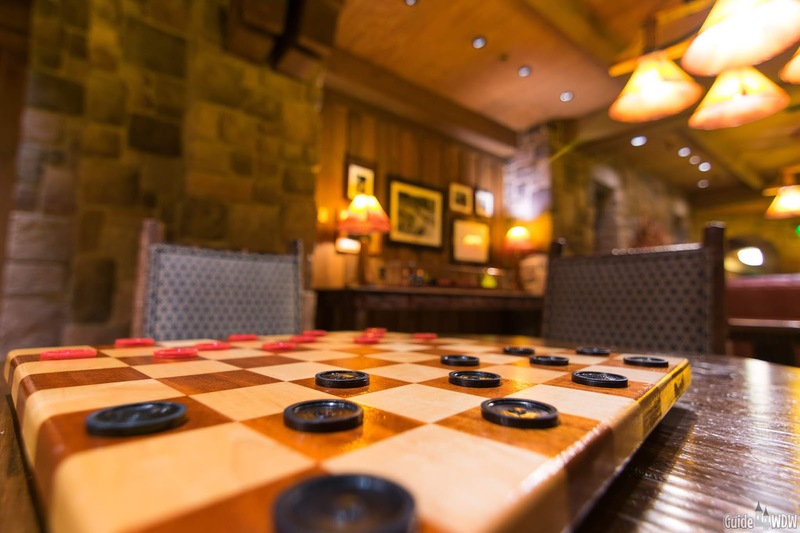 It's a great way to expand your horizons at WDW and an even better way to find resorts to stay at during your next trip or new places to dine that you never would have considered. 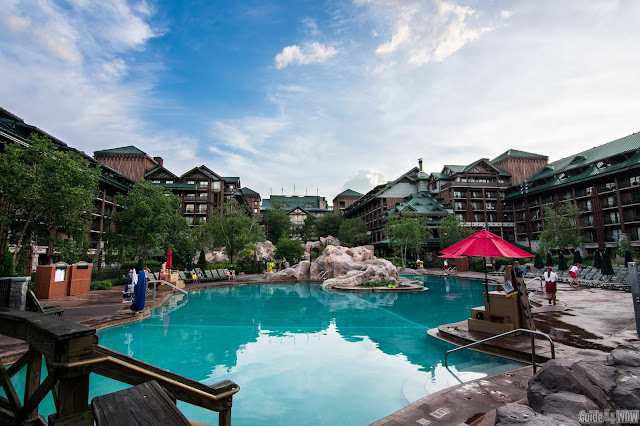 However, at this point in the article, I feel somewhat obligated to mention that this is not a list of ways to work the system and visit other resort pools and the many other practices that Disney heavily frowns upon. 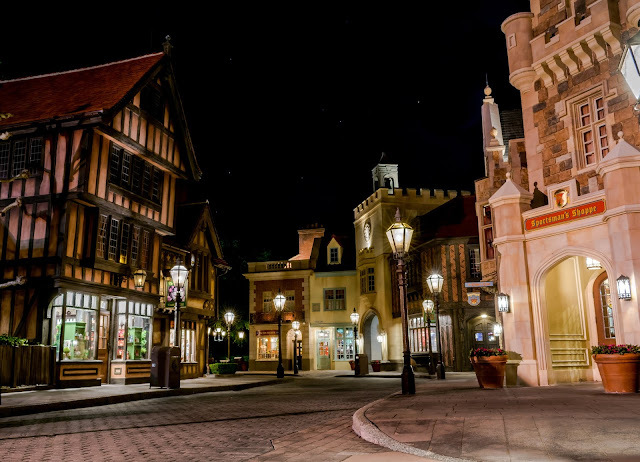 Instead, this is a list of ways to explore the unique dining, hidden gems, gift shops, and unique theming of resorts, and it's actually something Disney tends to encourage rather than the alternative. Leave the pools, guest rooms, and guest exclusive areas of the resorts to the guests staying at the resorts, but be sure to explore the theming and intricate details of these expertly designed resort common areas. Rather than repeating much of what we've shared in other articles, today we're sharing what a typical resort hopping day looks like for us and how it is extremely possible and quite stress free to visit 9 resorts or more in one day outside of the parks. It's been a growing trend among our family to take the time out of each vacation to set aside one day (on week long trips) to step away from the parks to explore the resorts in more and more depth. Not only does it save a few dollars in the overall budget, but it also tends to be one of our most enjoyable days of the trip time and time again. 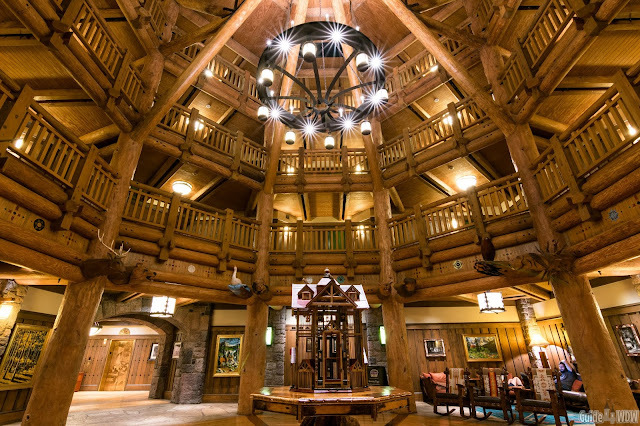 Characteristically, a resort hopping day for us will begin at Wilderness Lodge's Whispering Canyon for breakfast. 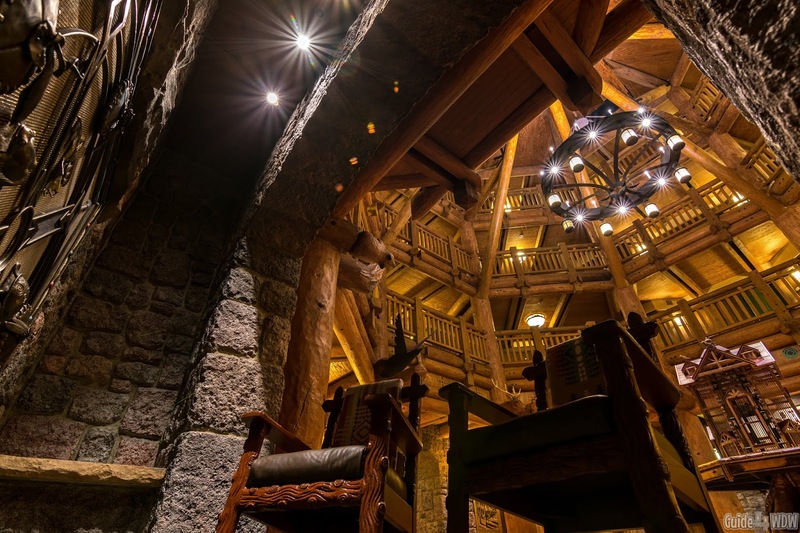 It's not unusual for us to be staying at the resort or its accompanying Boulder Ridge Villas, but even if you choose another resort, Wilderness Lodge is typically only a few minute Uber ride away (we shared a few tips on that service here). 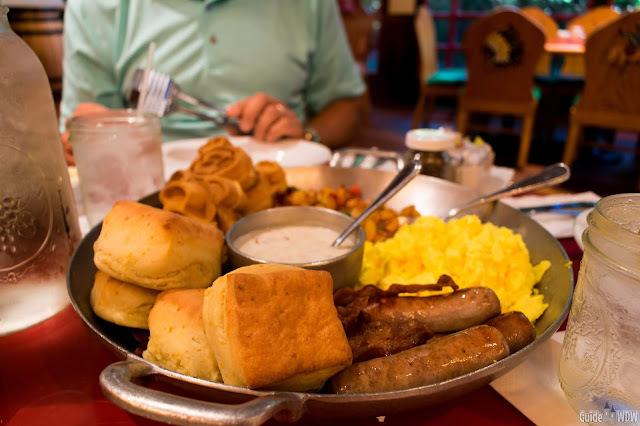 The breakfast is great and we even did a full review of it after the fact due to our multiple visits and even went as far as to call it a "hidden gem" breakfast on Disney property. If you know us, you know that is about as high of a rating as we could give any Disney dining location. It truly is one of the best values on property. Circling back to Uber, the service does play a role in our resort hopping plans but only a very slight role. In the past, I've been a critic of the service for various reasons but with the ever changing nature of the parking situation at Disney parks and resorts, it's often easier to use Uber/Lyft/Minnie Vans and provided Disney transportation than trying to drive from place to place. It's quick, it's convenient, and ultimately is worth the money, especially if you use one of the referral codes both Uber and Lyft provided us with which will get you and us a discount on your ride(s). 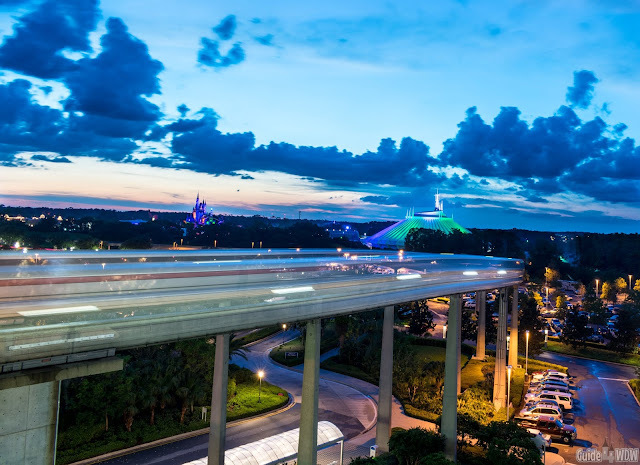 However, while Lyft and Uber are always quite convenient, don't overlook Disney transportation and that's ultimately how we get from place to place during the day as we move from resort to resort. Getting to the first resort of the day tends to be the problem when resort hopping. If you go to a resort for breakfast, it can be quite tricky to get to your destination without an Uber or Lyft. Typically we would catch a bus to the closest park from our home resort for the week and then catch a bus at the parks bus stop to the resort destination of our choice. Breakfast tends to be a tough timeframe for doing this because the parks aren't always open early enough to get to your breakfast reservation by that particular route. As a result, ride sharing services due come into play. Once breakfast is over, consider taking a walk around Wilderness Lodge. The resort offers some of the most picturesque views on property. From the main lobby to the tucked away fireplaces, quiet overlooks, and tucked away spots, every where you turn there's something unique to see and uncover in the vast details of the resort's story. Additionally, the resort's gift shop 'Mercantile" is home to some of the more unique resort specific merchandise. If you really want to uncover some of the more overlooked details, make the short walk outside and down the covered path to the Boulder Ridge Villa lobby. It's a tucked away spot but one of the greatest tributes to Walt Disney's past you'll find at Walt Disney World hiding in plain site. Look for the Carolwood Room sign and you know you're in the right place. If you're into Disney history, it will likely exceed your expectations. 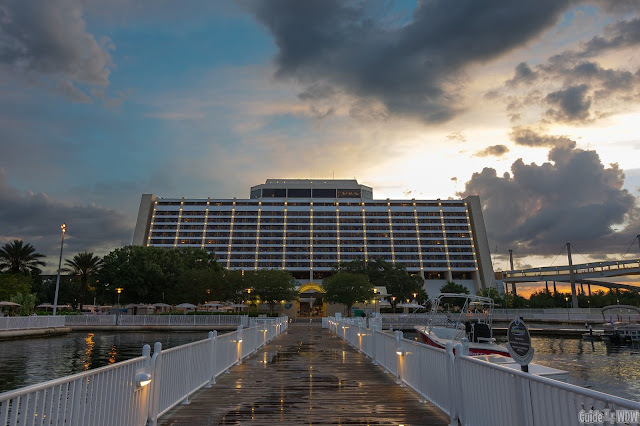 Once you wrap up your visit to Wilderness Lodge, head out to the boat dock to make your way to the next destination that always makes it on our list, the Contemporary. 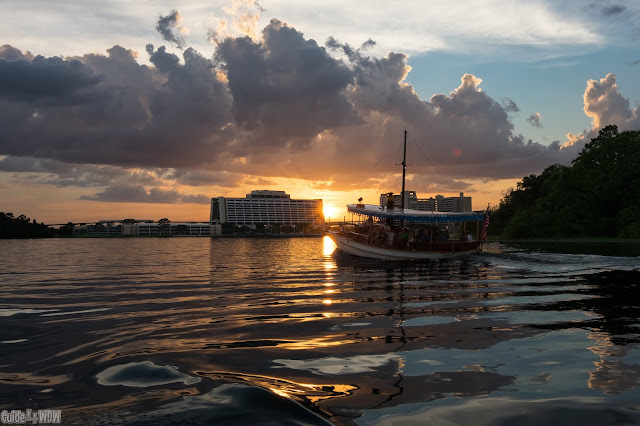 To get to the Contemporary you'll want to catch the resort loop boat. It's a short trip, completely free, and gets you there in about 10-15 minutes (sometimes less). Simply use the signs at the dock and ask your captain to verify they are headed to your desired destination. The views from the boat are spectacular, and while the photo below was taken at sunset, picturesque views can be found throughout the year nearly every day! The Contemporary is rather unique in that most of your entertainment and dining is no where near the lobby. 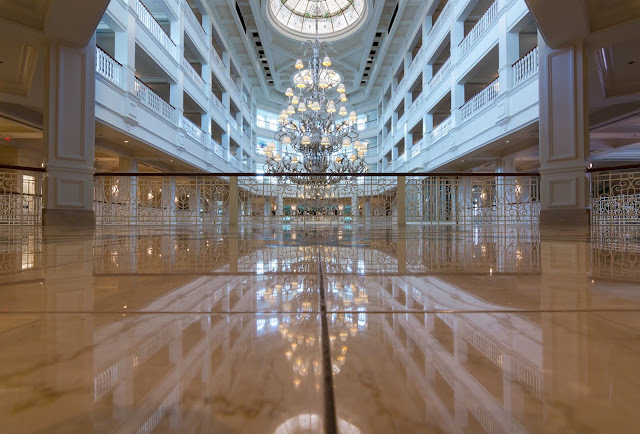 Instead, as you arrive at the fourth floor, by means of elevators, staircases, and escalators, the atrium unfolds and showcases one of the more impressive buildings that can be found on Disney property. 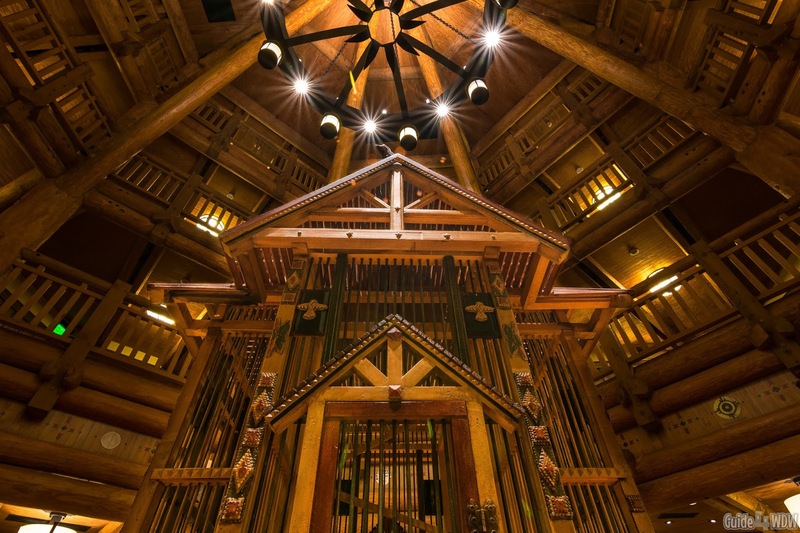 The wow factor for the contemporary isn't in the lobby like Wilderness Lodge, but rather this grand atrium that constantly wows guests at first sight. In the main grand concourse itself you'll find unique shopping and dining including Chef Mickey's (a decent buffet offering - somewhat overpriced), The Contempo Cafe, the Fantasia gift shop, and Bayview Gifts. Each offer something unique and around the holidays you'll find festive displays all around. As a partially unique part of the experience, consider stepping out onto the large balcony overlooking Magic Kingdom in the distance. 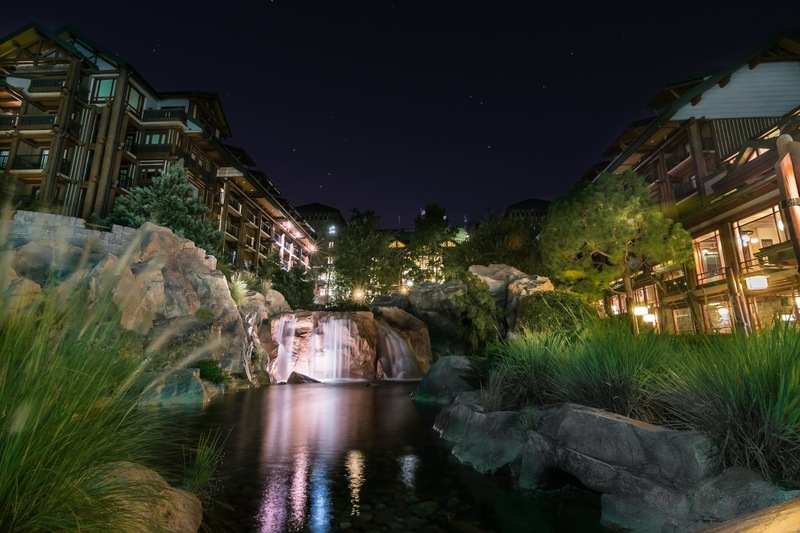 It's a spectacular view and perhaps one of the little overlooked "hidden gems" of the experience that many resort guests and visitors miss entirely. Once you've had your fix of the Contemporary, hop on the monorail and ride two stops over to the Polynesian Village resort. The Polynesian is always a guest favorite resort that makes you feel like you've stepped into a tropical hideaway perched on the sand with Cinderellas Castle off in the distance. The views are stunning, the smells put you in the story, and the sounds of the tropical music and subtle chatter of guests drifting in and out of the lobby make for an excellent multi-sensory experience. Inside the resort you'll find four incredible dining options. The pinnacle of all the dining is the Spirit of Aloha Dinner Show which brings a Polynesian Luau to the heart of central Florida. The experience is pricey ($66-$78 for adults) and only offered on select dates and select times. However, it is perhaps the most unique dining option for a day outside of the parks. Other dining options include Ohana (the family favorite meal for most guests), Kona, and Captain Cooks. Each have their strengths and weaknesses but each are well worth experiencing at least once and the vast array of options accommodate many different price points. The Polynesian also offers two uniquely themed gift shops with resort specific merchandise that is well worth checking out. Last but certainly not least, grab a Dole Whip at Pineapple Lanai and walk down to the beaches for a stroll in the sand to complete the Polynesian experience. 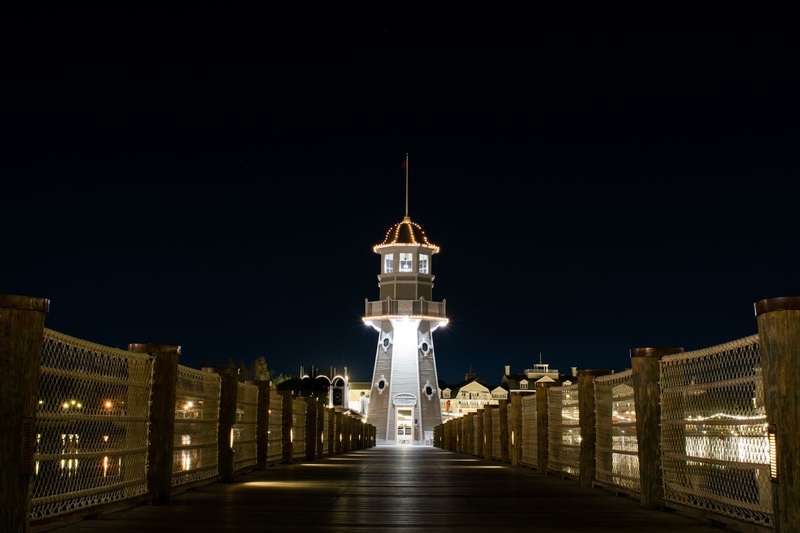 When it's all said and done, make your way back up to the monorail, ride one stop and explore all the Grand Floridian has to offer. Without repeating what's already been mentioned above, the Grand Floridian offer it's own array of wonderful dining and gift shops, but also has an array of high end merchandise in select stores ranging from Vineyard Vines to Lilly Pulitzer apparel and many others. The Grand Floridian is particularly wonderful around the holidays with Christmas music being played by a live band or piano and decor that looks like something out of a Hallmark movie complete with a larger than life gingerbread house that is always a pleasure to see in person. As perhaps the greatest benefit of this resort hopping strategy, you can jump on the monorail one last time and head to Magic Kingdom. 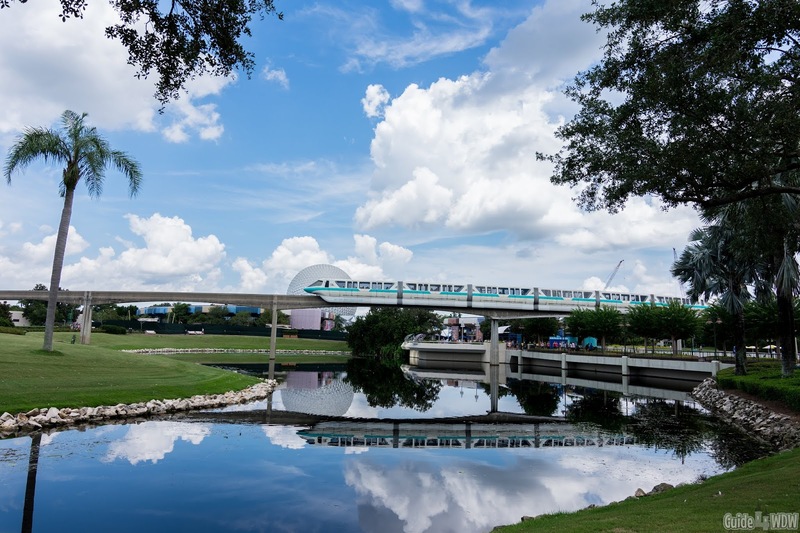 Without entering the park you can leave the monorail, head to the bus stop, and board a bus to your desired destination. One of my personal favorite spots to go at this point on our resort hopping days is Port Orleans French Quarter. The bus ride is only about 10 minutes long and once you arrive, having completed the other resorts on our list, it typically turns out to be around lunch time and Floatworks at French Quarter is a near perfect quick service lunch option. 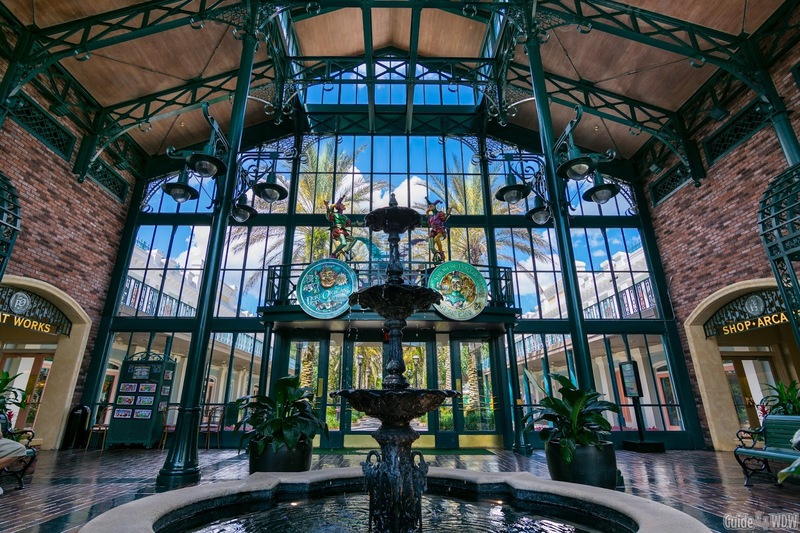 Once again, French Quarter offers a unique shopping experience and the theming really is one of the best resort themes anywhere on property regardless of resort tier. From that point, you have two great options. First, you could continue your day by heading over to Disney Springs for the night via a boat provided by the resort just steps from the lobby, or you can continue on your way to other resorts! Our next resort pick tends to be the Crescent Lake resorts and Epcot resort area including the Yacht and Beach Club, Swan and Dolphin, and Boardwalk resorts. It is fairly difficult to get to these resorts from French Quarter but, as mentioned before, you can always hail an Uber or head to a park using the resorts busses and then switch busses to get to your end destination. In my opinion there is no better first stop than the Yacht Club. The little intricate details of the lobby and external resort grounds are wonderful to explore. As an added bonus, the spacious and comfortable lobby is a great place to relax and escape from the hustle and bustle of your Disney vacation. If you have a bit of extra time, a quick 10-15 minute walk along the lakes edge and through the Swan and Dolphin will lead you right over to Fantasia miniature golf. It's a great way to spend some time with family, it's fairly budget friendly, and it is truly unlike any miniature golf you've played before. When you're finished, consider stopping by the Fountain's walk up window on the bottom floor of the Dolphin for some of the best ice cream on property! If it's late enough in the day at this point, consider eating at Cape May Cafe. The tucked away seafood buffet dinner is one that we failed to eat at for years on end. It does require a reservation most of the time but reservations tend to be plentiful. The meal is incredible and is housed in Disney's Beach Club Resort. It's not necessarily the most budget friendly offering (more on that in our Cape May Cafe informational post), but it is truly one of my favorite meals anywhere on property and is one of the best kept WDW dining secrets. 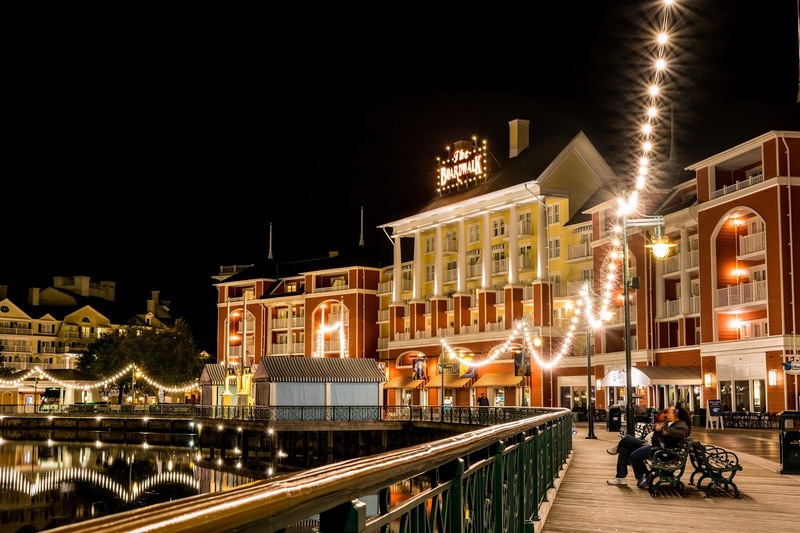 At the end of the night, after your meal, consider making the short walk over to Disney's Boardwalk resort to enjoy the glistening lights of the real boardwalk experience on the edge of Crescent Lake, potentially a movie on the village green, or even some live entertainment by incredibly talented street performers. The sights, the sounds, and the overall environment is well worth your time. As day turns into night and the nightly performance of Illuminations takes to the sky at Epcot nearby, the view from the boardwalk (while partially obstructed) is one of the most picturesque views you'll find anywhere on property. The reflections off of the water create a show stopping experience for guests and it's something you won't want to miss. At the end of the night hail an Uber and head back to your home resort for the week and you may very well have experienced a fun filled day with very little expense and uncovered hundreds of things you never would have gotten the chance to explore on a typical Disney vacation! Enjoy every moment, try something new, and you'll never be disappointed with resort hopping! Use our plan or create your own plan with resorts you've always wanted to visit. This post only scratches the surface of all there is to see and do, but we hope that this at least gives you the motivation to try this vastly important part of our Disney vacations. When you think of Disney World, what's the first thing that comes to mind? It's interesting to me to hear answers to this very question because the answers vary depending on who you ask but in particular, there's one main separating factor among all the answers... if you've been to Walt Disney World or not. So many prospective guests have this fixated expectation of what they are going to get out of a Disney experience and more often than not, the experience they receive vastly outpaces their expectations. Perhaps the best example of this is simply the answers to the aforementioned question. Pose that initial question to a friend of yours that's never stepped in a Disney park or hasn't done so in the last 10-15 years and you'll likely get the answer... "attractions, fireworks, characters, hotels," and the list goes on. If you ask a Disney guest who's been to the parks time and time again that same question the answer typically varies drastically. Their answer is rarely about the attractions or the shows or even the world class dining but rather some story about their kids, a memory they shared with friends, or even perhaps a hidden piece of the history of the parks they found hiding in plain site. You see, the overlooked thing about Disney is that it's not just another amusement park. Sure, there's attractions, world class dining, incredible fireworks shows, and the list goes on and on, but one thing sets it all apart and much of it circles back to story and the vastly important influence story has on the "Disney Experience." No matter if it's story in a literal sense of the stories attractions help portray, stories in the sense of the real life history of the parks themselves, or even quite possibly your story that develops from those deeply rooted experiences with friends or family in the parks year after year. 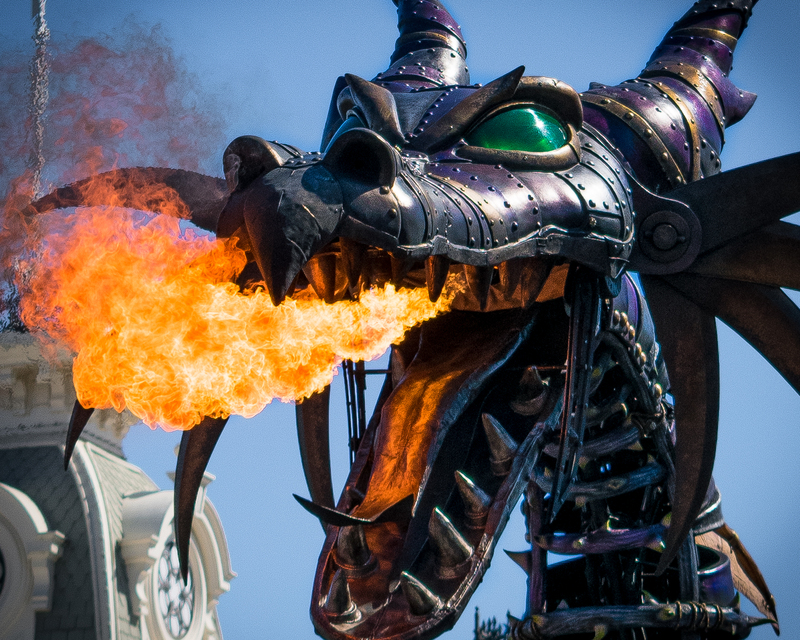 The secret that sets Disney apart from all the others isn't in the attractions but rather in the stories developed that exceed your wildest expectations. It's not every day that you get to walk down Main Street with your family no matter how young, old, or young at heart they may be. It's one of those simple pleasure in life that often gets lost in our daily lives. 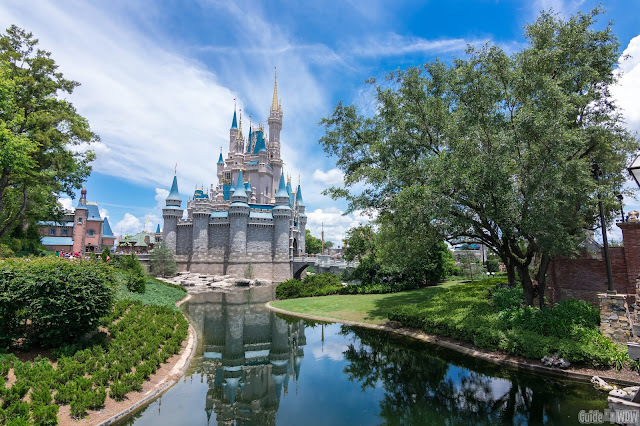 Disney, and in particular Walt Disney World, has a way of slowing things down and offering a true escape from reality. It's something that every repeat and life long Disney guest understands and more importantly the one thing every prospective guest should make a cognitive effort not to overlook by mistake. It's so easy to get caught up in technology, our jobs, and invariably our increasingly busy lives, but the ability to disconnect and consciously take in that moment and escape from reality with friends and family with no fear of judgement is something that only Disney has been able to provide so many of us over the years. Walt said it best years ago when he said that essentially Disney World may not hold all the answers but happiness will be at the forefront of the project. Of course, in classic Walt fashion, his description was exorbitantly more polished than my iteration of the concept, but I feel that it's still a near perfect representation of what Walt Disney World does for guests. It's not your standard amusement park but rather an experience that is so incredibly hard to put into words. I keep saying it's more than the attractions but that ultimately downplays the experiential nature of the vacation destination. 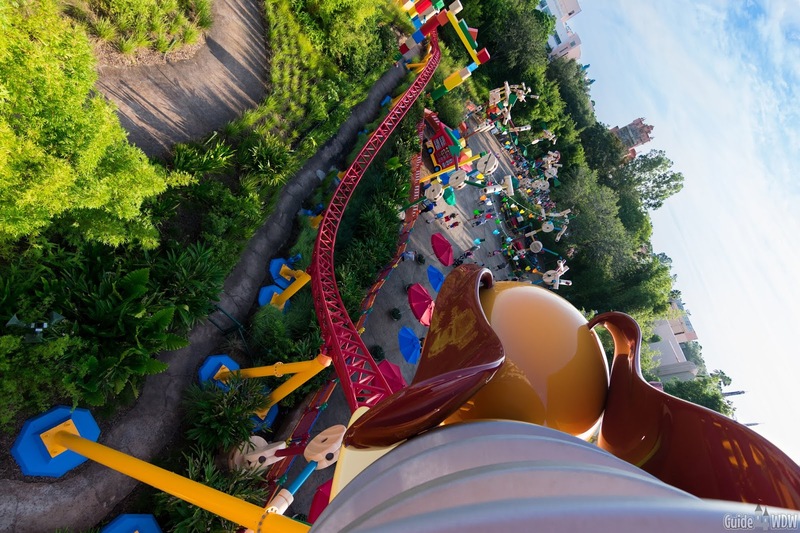 The Disney parks are a vastly transformative experience that surround you and transport you to different places and different stories, but the key to it all is in the opportunity the place creates for you to create your own Disney story. That's what it's all about and in the simplest of explanations, that's the main thing so many prospective guests rarely expect and ultimately overlook. 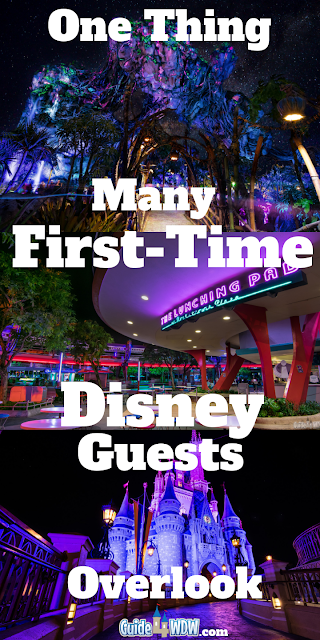 Disney Resort Reviews - Everything We've Learned About Resorts On and Off Property! Disney World Dining Tips - All Our Dining Posts In One Place!